The standard penetration test, commonly known as the ‘SPT’, was developed to provide geotechnical engineering properties for foundation design purposes. The test is carried out within a borehole and the results can be used to determine relative density, bearing capacity, settlement of granular soil and to correlate the approximate strength of cohesive soil. In cohesive soil the test involves driving a 50mm diameter split-barrel (spoon) sample tube into the ground to recover a disturbed sample. In granular soil the split-barrel is replaced by a solid 60 degree cone. The split-barrel or solid cone is driven using a sliding hammer with a mass of 63.5kg falling through a distance of 760mm. The test is advanced in six 75mm increments and the sum of the number of blows required to drive the last 300mm of penetration is termed the “standard penetration resistance” or the “N-value”. The penetration resistance during the first 150mm of penetration is ignored, because the soil is considered to have been disturbed by the action of boring the hole. In cases where 50 blows are insufficient to advance the sample tube through a 300mm interval the penetration after 50 blows is recorded. In cohesive soil the sample remaining inside the split-barrel is recovered after the test. The sample is only suitable for visual examination and identification. If engineering properties such as strength or compressibility parameters are required undisturbed samples of the cohesive soil will need to be recovered. If very silty clay, very sandy clay, or hard clay, is encountered the undisturbed sampling should be alternated with standard penetration tests in order to correlate the soil strength. In granular soils if the test is carried out below the groundwater level, the N-values may indicate that the relative density is loose. In these circumstances, it may be appropriate to continue driving the sampler beyond the specified distance. This additional drive should not be regarded as a standard test, but it does provide an indication as to whether the deposit is as loose as the initial N-value may have indicated. 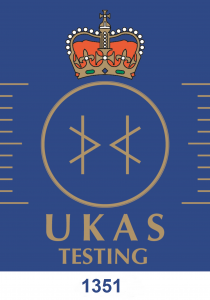 In the UK the test is standardised by BS EN ISO 22476-3, which is one of a series of documents published to support BS EN 1997-2 (Eurocode 7, Part 2). 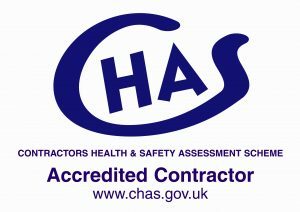 This document is commonly known as EC7 and is the European standard for ground investigation and testing. BS EN ISO 22476-3 requires the energy ratio (Er) to be recorded and a certificate of calibration to be provided. The energy ratio is the relationship between the energy imparted by the hammer to the rods compared to the theoretical energy of the hammer. The energy loss that occurs due to friction of the hammer compared to free fall and during impact between the hammer and the anvil can have a significant influence on the measured N-value.